As the world awaits for confirmation to reports that she has given birth, Yvonne Nelson has posted a video of herself on Instagram. 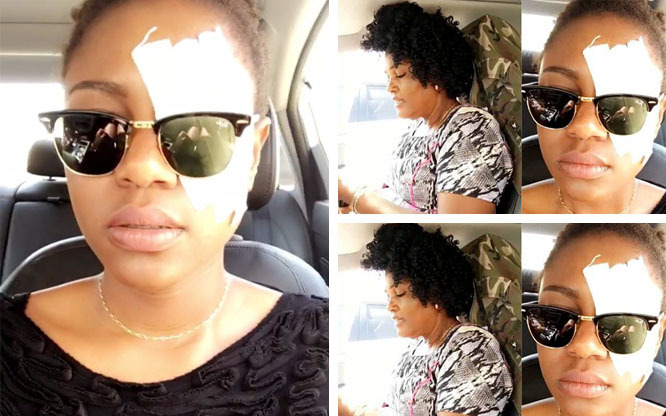 The actress, who had one half of her face covered with a bandage posted a video of herself and mother in a car. 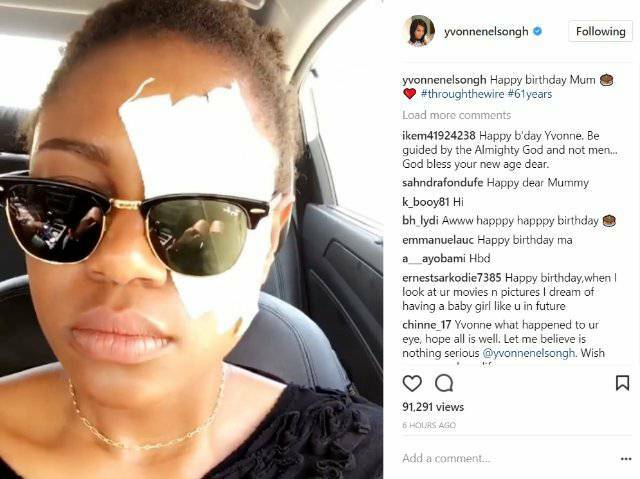 While ghanapoliticians.com cannot confirm when the video was recorded, whether she is truly injured and what might have caused the injury, the actress posted the visual to wish her mother a happy birthday. She wished her mother a happy 61st birthday.